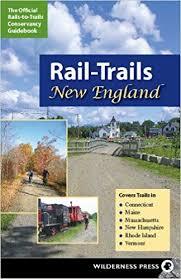 Gordon College in Wenham Massachusetts has an excellent trail network for hiking and mountain biking connecting to the other well-maintained trails in adjoining Chebacco Woods. The easy trails wrap around several ponds and are appropriate for beginner and intermediate cyclists, with gently rolling terrain through hemlock and beech forests surrounded by glacial outcroppings. 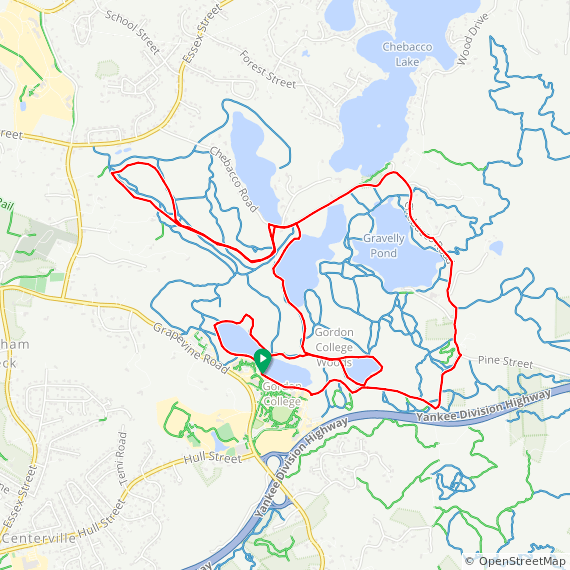 Not shown are the narrower marsh trails that should not be ridden, and the hillier woods and boulder trails that would be appropriate only for experienced strong cyclists. Stay on trails marked with green, blue, white or red dots for wide safe paths, as well as the network of unpaved dirt roads. Trails marked with yellow and orange dots are for more technical mountain biking or hiking.